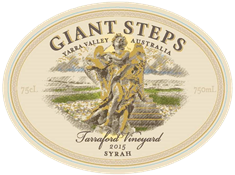 A great example of cool climate Australian Syrah. Fresh aromas of violets and peppercorns over black and red berries with plum skin and Campari notes. The palate is medium-bodied, juicy and rich and is pulled together by ripe savory tannins and well balanced acid. Clings with excellent tenacity and focus, leaving black raspberry and floral pastille notes behind.